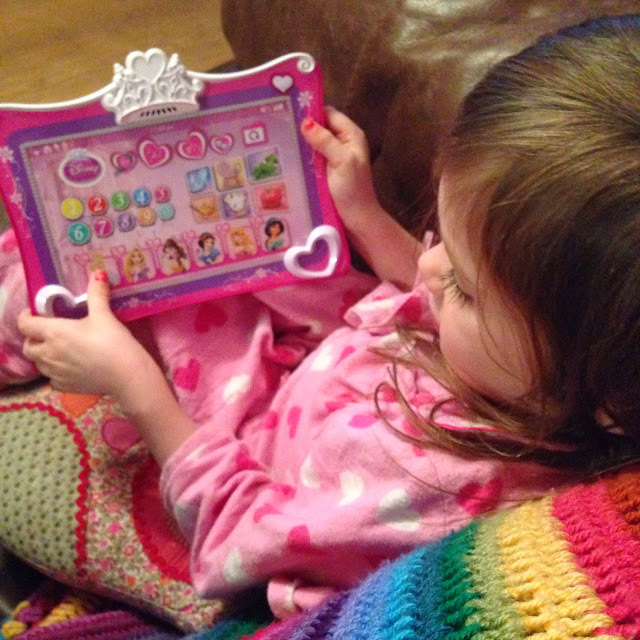 Just before the wedding Daisy was sent a Disney Princess Touchpad to review. She loves technology. She's a pro at all the apps I've downloaded for her on my iPhone having managed to memorise my passcode and master the art of unlocking my phone at the age of two. She was super excited to be sent her own 'iPad' (as she calls it) and just happens to be a teeny weeny bit Disney Princess obsessed too. 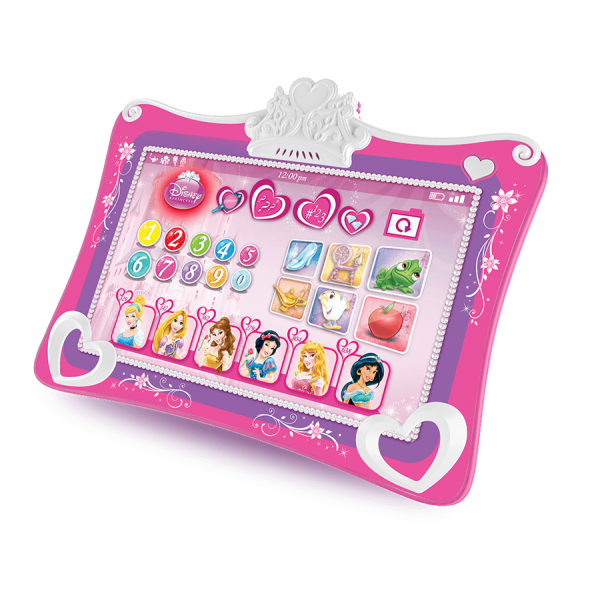 This touchpad is pink and purple, much to Daisy's delight, and features everyone's favourite Disney princesses. It is very lightweight and has an ultra sensitive touch screen which makes holding it and playing the four different games easy for even the youngest player (it's aimed for children aged 2+ although Evie has definitely got her eye on Daisy's and she's only 1). The games encourage younger children to learn about colours, letters and numbers and then go on to test older children's Disney knowledge and it has lights and makes sounds to keep them engaged no matter what their age. Daisy and Evie both love this toy which is currently only £18 in Tesco (and toys are currently part of the Clubcard boost too). With Christmas only a couple of weeks away (eeek!) it would make a great stocking filler. We were sent a Disney Princess Touchpad for the purpose of this review but all thoughts and opinions are my own.